Do your portable radio batteries seem to drain quicker than you’d like? Batteries rely on a chemical reaction to generate voltage. Therefore, the life of the battery depends on the integrity of the surfaces generating the chemical reaction. If the material and the external shell are not cared for in a proper fashion, their characteristics will change. The end result is the loss of charge duration – and a drained battery. 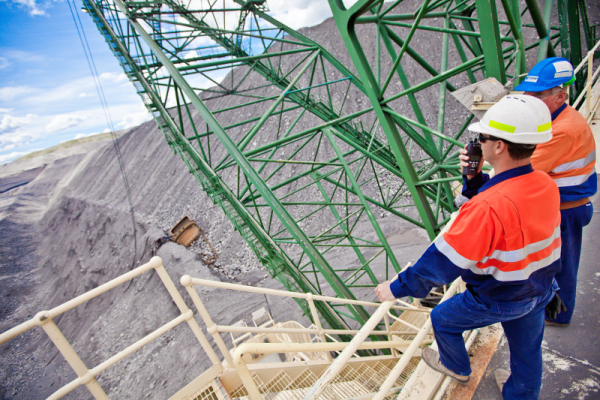 If you are using a two way radio and charging system, encourage your team to follow some of these maintenance procedures. Initialize the New Battery – A new battery is shipped with about 50 per cent of its full capacity charge for several reasons – one of which is safety. The second reason is the battery charge will slowly decrease with time, and by the time the battery is used, it will be below maximum charge. Therefore, as proper maintenance and battery protocol, it is expected that the new battery will be charged fully before use. Charge the battery overnight to maximize its future capacity. Charge a new Nickel Cadmium or Nickel Hydride battery for 14 to 16 hours, and a new Li-on (Lithium Ion) battery an extra one to two hours after the full charge light turns green. If you are using a battery and charging system that utilizes a calibration cycle, do not remove the battery from the charger until the light indicates that the battery can be safely removed. Store new batteries that have not been initialized in a well ventilated, cool, dry storage area. This will preserve the capacity and number of life cycles. Do not store near flammable material. Nickel Cadmium batteries can be stored for up to two years, and Nickel Hydride batteries / Li-on batteries can be stored for up to 18 months. If a battery has been in use and needs to be stored for several months, it is best to discharge the battery to 50 per cent of its capacity. Then, store the battery in a cool, dry location away from flammable material. If a battery has been initialized, used, discharged to 50 per cent and stored for several months, it is the best procedure to fully discharge the battery before recharging. This procedure is different from the initializing procedure, because the battery has already experienced a load during use. If using a rapid charger, it is best to leave the battery in the charger for an additional hour. Do not use the battery charger as a stand or holding spot if its plugged in. If a battery experiences continuous charging, it will lose its capacity. Carry a spare battery, and do not rely on charging partial capacity batteries to carry out your day’s duties. Having a spare battery, to be used in tandem with your primary battery, is a cost effective solution rather than frequently buying a new, primary battery. Do not try to increase the battery life by extra charging because it significantly decreases the cycle life and capacity of the battery. Before using a battery that is brought out of storage, bring it to room temperature (21 Celsius). Charging below four degrees and above 40 can decrease battery life. 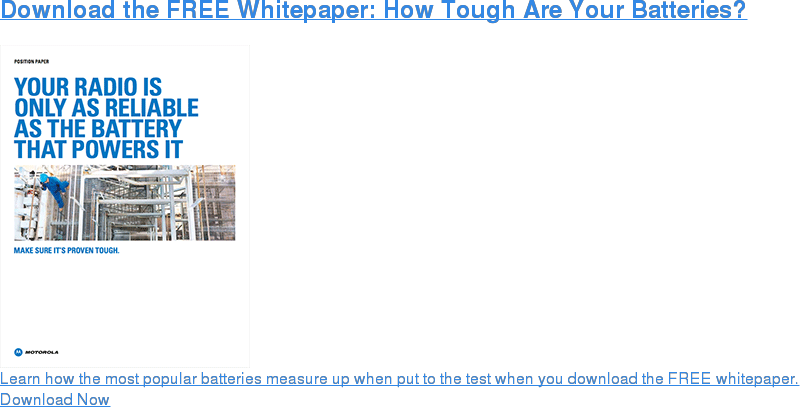 By following these battery maintenance steps, and helping others in your workplace to understand and follow them, you will lengthen the life of your two way radio batteries. Motorola batteries are designed and precisely manufactured by engineers to ensure optimum performance. Contact us for your portable two way radio and battery needs. Want to learn more about why Motorola has the highest standards in the industry for batteries? Click below!